Thanksgiving is a great time of year that brings families together to enjoy homemade food, football and quality time together. Unfortunately, if you’re responsible for coordinating the festivities Thanksgiving can also be a stressful holiday. If you’re family is looking to you for a wonderful Thanksgiving this year, don’t worry because the Alabama Gulf Coast has you covered. A vacation rental is the perfect place to host your family’s Thanksgiving and here are 3 reasons why. One of the biggest stresses that comes with hosting Thanksgiving is getting your house cleaned and ready for everyone to arrive. This is one of the biggest reasons to host your holiday in a vacation rental, it’s already clean and ready for your event. This means less stress and time worrying about getting your house ready for your guests and more time enjoying the festivities. Another advantage of holding your Thanksgiving in a vacation rental is space. Some of the larger rental accommodations can sleep up to 20 people and are more than 5,000 square feet. Plus, rates are very reasonable during the month of November and the families can save money by all staying in a large rental and splitting the cost. Most rentals also have open floor plans that allow large groups of people to come together for Thanksgiving dinner without being over crowded. Unlike a hotel room, condominiums and beach houses truly are a home away from home and come complete with fully stocked kitchens. You’ll find everything you need to prepare and serve the perfect Thanksgiving meal. If you need something to prepare a unique dish, you can contact the owner or rental management company to make sure your rental has everything you’ll need prior to your arrival. 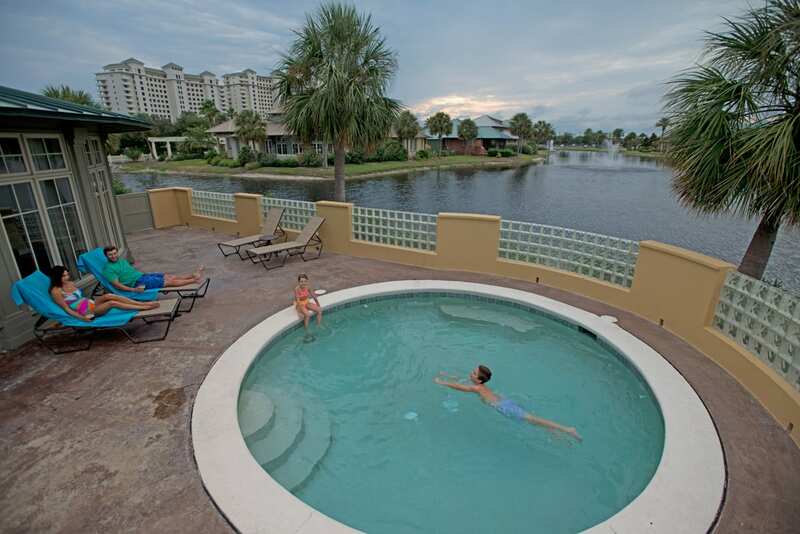 Vacation rentals really are a great option for hosting your family’s Thanksgiving. Each year more and more families head to the beach to enjoy quality and stress free time together. If you’ve had Thanksgiving at the beach, leave us a comment and let us know what you enjoy most about it.